Learn how to prepare yourself in dangerous situations and how to react to best protect yourself with the help of SB Krav Maga professionals. This is a great opportunity to learn some valuable skills, and get a great workout session. No experience necessary! This workshop is designed for anyone new to learning about self-defense or those looking to brush up their skills. 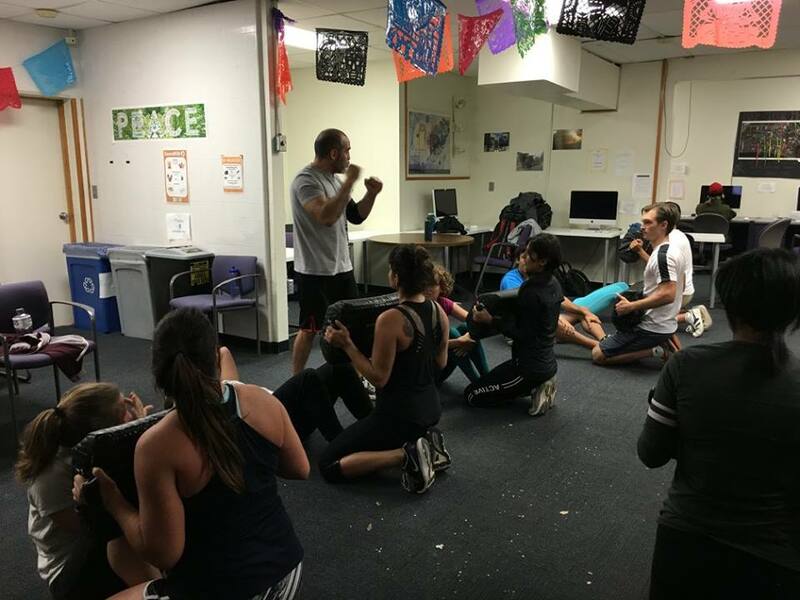 Pedro E. Sanchez has been involved in martial arts for over 13 years. He started his training in the Brazilian Martial Arts of Capoeria under his good friend Contra Mestre Gui at the Centrosul Capoeria Academy. Later moving on to Jiu Jitsu for a little over 2 years and finally finding his home in Krav Maga The Israeli Official Self Defense System. In early 2005 he began training at Beach Cities Krav Maga under Master Beau Durocher. Mr. Durocher had just opened his location in Huntington Beach, CA. Coming from Chatsworth, CA as 5th degree American Tong Soo Doo black belt and a Expert Level Civilian/Military/Law Enforcement Instructor in Krav Maga with over 18 years of training in KM and 25 plus years with traditional martial arts.